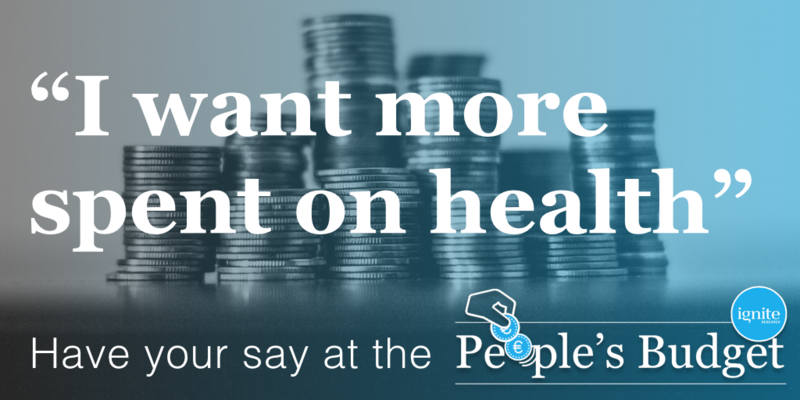 Ahead of next week’s Budget, Ignite Research has teamed up TheJournal.ie to launch the a new interactive tool called The People’s Budget (http://peoplesbudget.ie) that allows people to choose how they would allocate the €1.5bn additional spending across taxation and expenditure departments. The first part of the research sampled 2,000 Irish adults who have already submitted their budget using the online tool. However people can still make their own adjustments in the run up to next week’s Budget and continue the conversation on TheJournal.ie website. According to the preliminary research, on average, we would like to see €886m being spent by the Government and up to €613m being provided to reduce taxation. Irish people will be hoping that the Minister will spend on health, education and to a lesser extent social protection and children. People would like to see income tax to be reduced by €299m, VAT by €135m and local property tax by €106m. In addition, people believe the greatest spending adjustment should be made to Children & Youth (suggesting pressure on childcare costs) and the greatest taxation adjustment should be made on local property tax.